I had a surprising request the other day. My friend Margaret, who lives near Lismore in northern New South Wales, sent me a Facebook message saying she was planning a ‘beige’ garden and wanted plant suggestions. I looked at the message in great puzzlement. Who, I thought, would want a beige garden? All I could think was that as she had just moved into a new house it must be so vibrantly coloured and she wanted the garden to contrast. Dead mondo – brilliant for beige? Even though I thought it sounded odd, my brain started to flick through a roll call of plants and I wasn’t coming up with anything beige. Plenty of cream, yellow, gold and even brown, but beige: nothing. Well there are grasses, especially at the end of their growth season as they fade and dry, but I kept on trying to think of some flowers. Actually, before the rain here everything was beige as we hung out for some moisture, but thankfully it is all lush and green again. 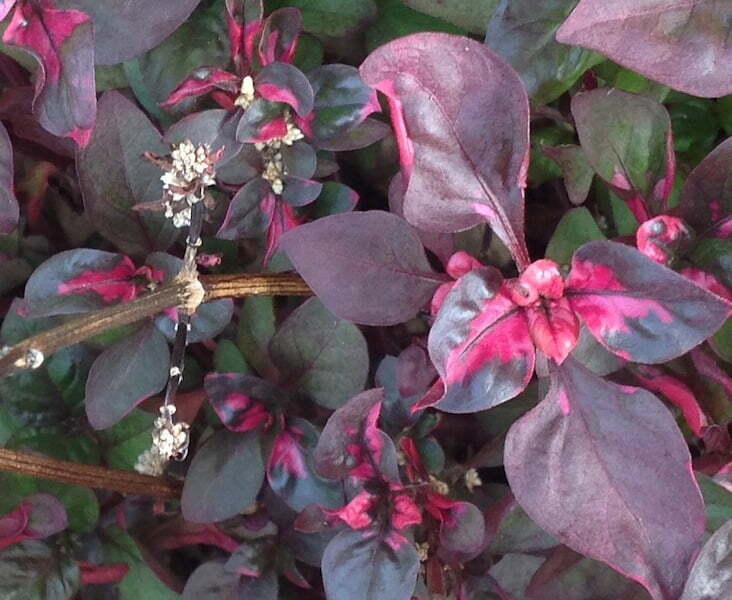 Then I recalled the tiny flowers on alternanthera. Yes among all that vibrant red or green variegated foliage they had beige flowers, but their bold leaves would surely rule them out. Ditto amaranthus and beefsteak (Iresine herbstii). Carex? 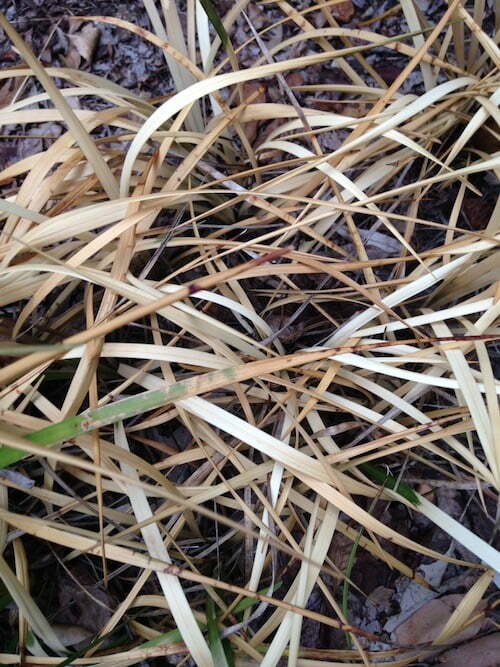 Miscanthus? Lemongrass? Grasses kept popping up on the beige list. Then I thought of knobby club rush grass (Isolepis nodosa) as it has beige clusters of flowers. It was a definite option. 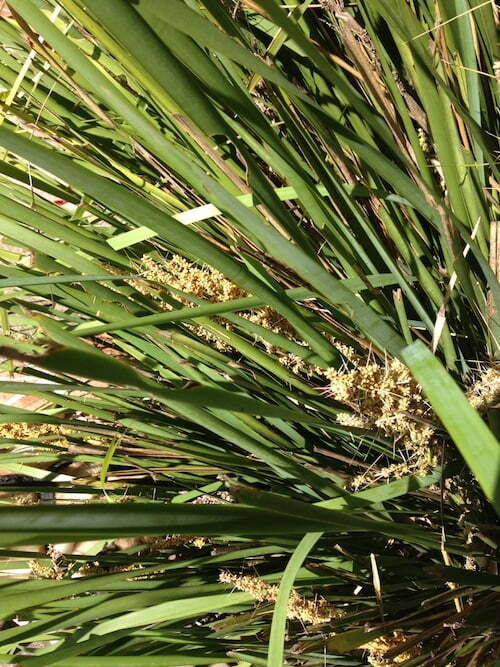 So was lomandra. And ixias – definitely some beige tones in there somewhere I think. Gardenias I wondered. 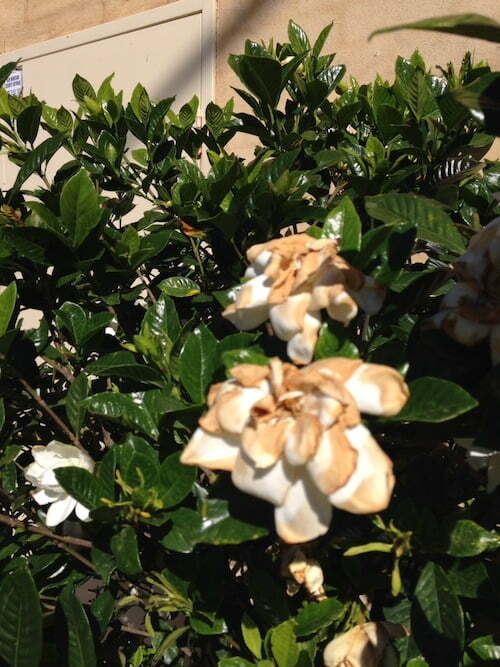 I’d call their fragrant flowers cream, but certainly they get a beige look as they die off. Maybe the variety ‘Golden Magic’ would qualify? And maybe while I am thinking fragrant, port wine magnolia could work too, they have beige, skin-toned flowers. Then, as I really began clutching at straws (there’s a beige option, straw mulch), another message popped up on the screen. ”Sorry”, she said “I meant a VEGIE garden” (Don’t know where beige came from, she added, – probably my bad typing and autocorrect!). “Any suggestions for summer vegie planting” she asked?. I was so relieved! I have lots of suggestions for vegies, and none of them beige. Gosh yes, it is a great time to plant vegies and you’ll be harvesting right through summer to autumn. I’d be putting in cherry tomatoes, cucumbers (Lebanese) and lots of salad greens like soft-hearted lettuce and herbs including basil, parsley and mint (if you have a shady, moist area). And of course chillies, eggplant and zucchini can go in too. If you have space, pop in some pumpkins and maybe a watermelon as well. Great thought on the rose ‘Quicksand’ as it is a lovely warm coffee beige. I did think of ‘Julia’s Rose’ as well which has lovely tones. What a funny post! Billy Connolly is alway riling against what he calls ‘the beige people’, and my mind went there immediately after beginning your post. By the sounds of it though, Margaret is certainly not one of the beige people, but rather a victim of autocorrect! Me and Billy Connolly in same sentence! Excellent. Not so silly. New Zealand is good with beige gardens, and I’m not being pejorative, just recognising there are so many foliage plants such as Carex, restios and related plants and grasses, libertias, cordylines and even ground covers like Raoulia (at a pinch). I’ve seen it done and the key is texture. A nice exercise in spite of autocorrect. 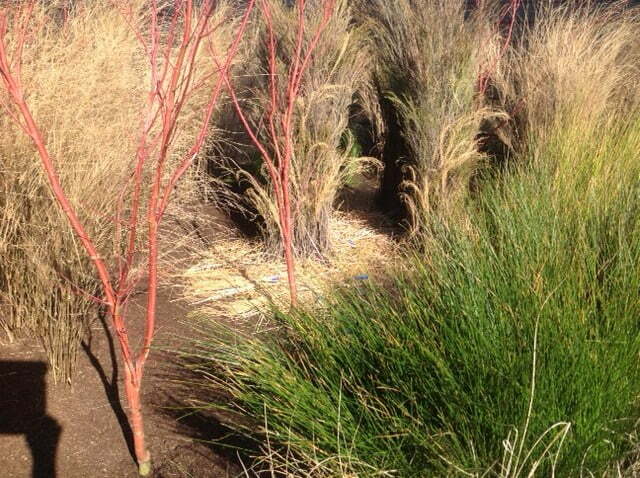 Yes grasses like Carex would make a lovely beige contrast to the brighter colours summer and autumn! On another subject ! My Buckinghamea Cellosima is setting flowers she is my pride and joy. Her first flowering was magnificent then I pruned her perhaps a little hard and she sulked last year and now here she is flowering. What can I give her to encourage her to another magnificent display? Beige garden. Hahahahaha. Love it, Jennifer. Maybe that’s a new way of theming gardens to cultivate – twinset and pearl gardens; tracky dak gardens, ballgown gardens; lycra gardens, budgie smuggler gardens; stubbies and thongs gardens; and more?